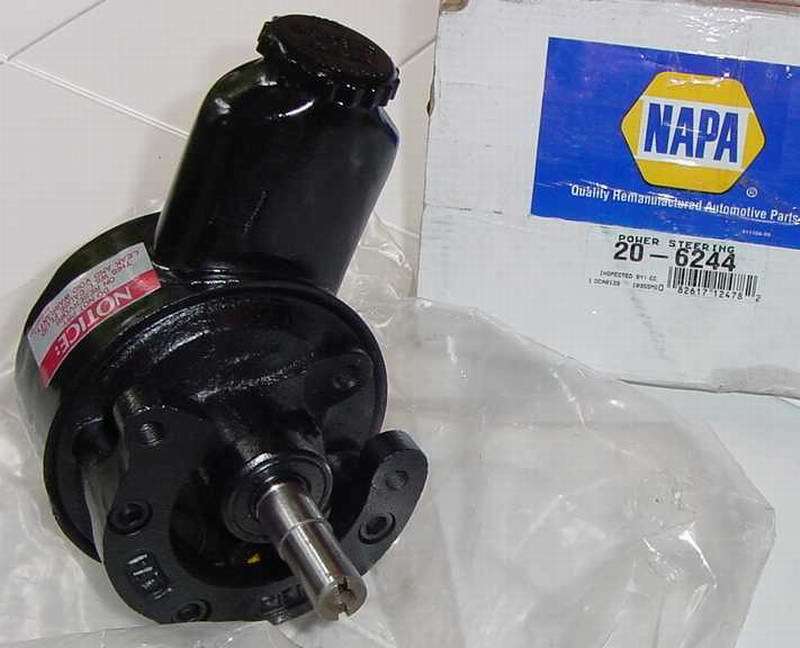 This is a easy power steering pump upgrade. Mine died at Tellico recently and this was an easy replacement. This pump is supposed to be identical internally to the Saginaw 'canned ham' pump that's so popular, but with a different style reservoir. The pump cost me about $110 including core charge, and the fitting was about $9. Remove the old pump and you can compared them side by side. The new pump is about half the size of the old one. 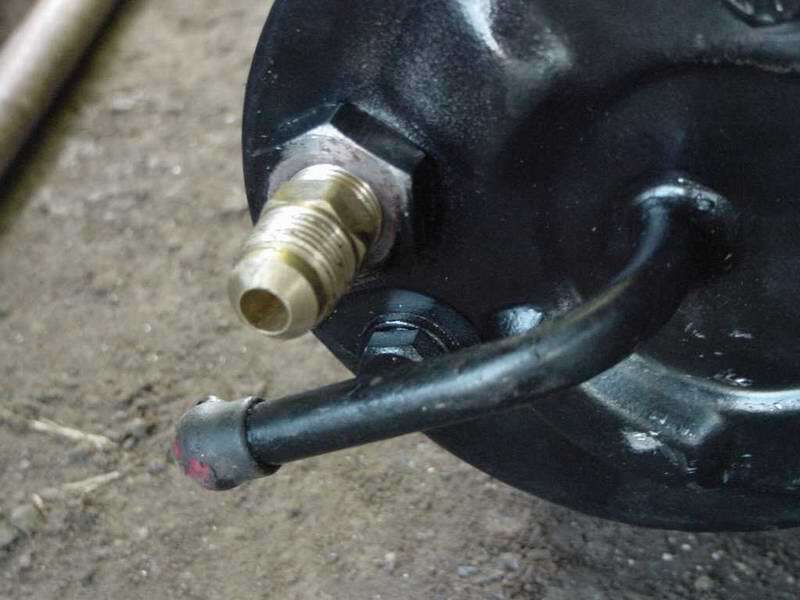 The new pump as a 90 degree fitting for the pressure hose and the return line points down instead of up. The horseshoe shaped bracket that comes on the pump makes it look like the front of the original pump. This allows it to bolt right onto the original bracket. Remove the 90 degree fitting off the new pump by removing the 1" bolt. Replace the 90 degree fitting with the fitting adapter. Make sure you put the end into the pump that matches the end you take out. 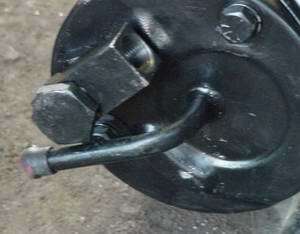 Remove the pulley from the old pump using a pulley puller. 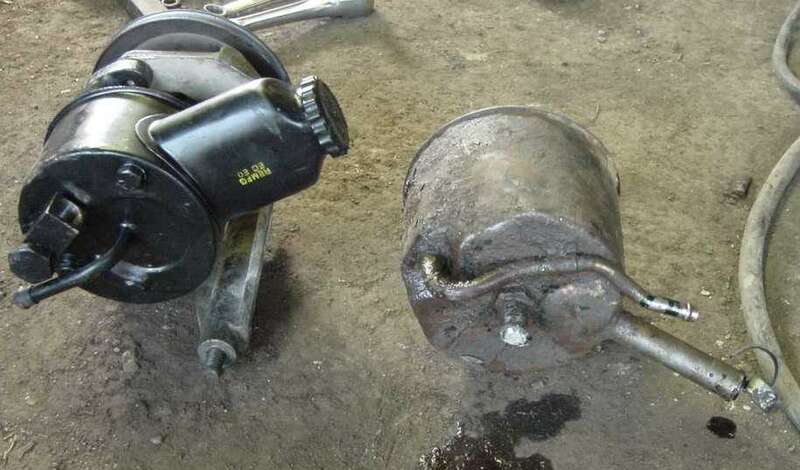 Do not attempt to do this without the proper puller. You may be able to borrow one from an auto parts store. 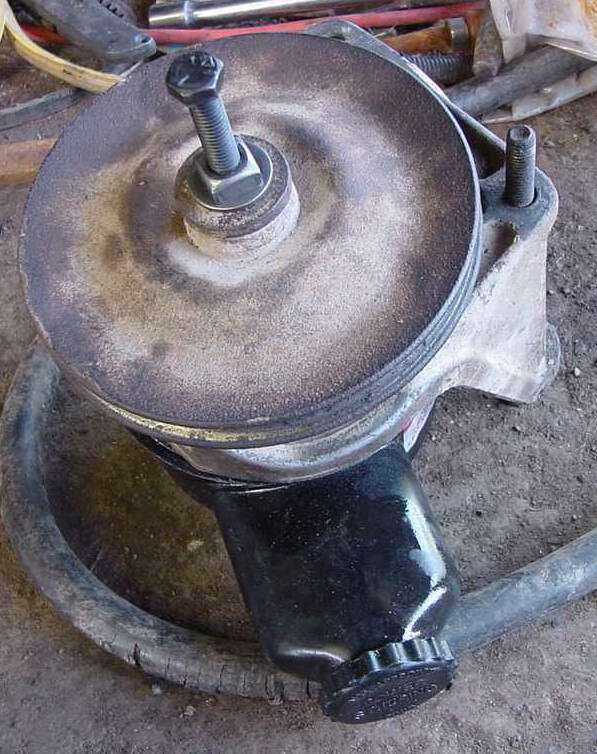 Install the pulley on the new pump using the proper tool. Do not beat the pulley on with a hammer or you may damage the new pump. The new pump comes with a bolt, a washer and a nut that can be used to press on the pulley. 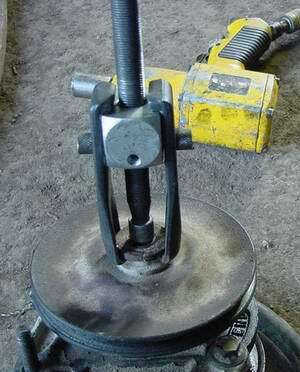 Put the nut and washer on the bolt, then screw the bolt all the way down into the shaft on the pump. Then tighten down the nut while you hold the pulley to keep it from spinning. Pressing the pulley down until the front of it was flush with the end of the shaft gave me good belt alignment, but you'll want to use a straight edge to check yours. Install the pump into the original brackets and put it on the engine. You may need to make some modifications to get the hoses to work. My pressure hose worked fine without modification. Since the return line comes in from the bottom instead of the top I had to make some changes. 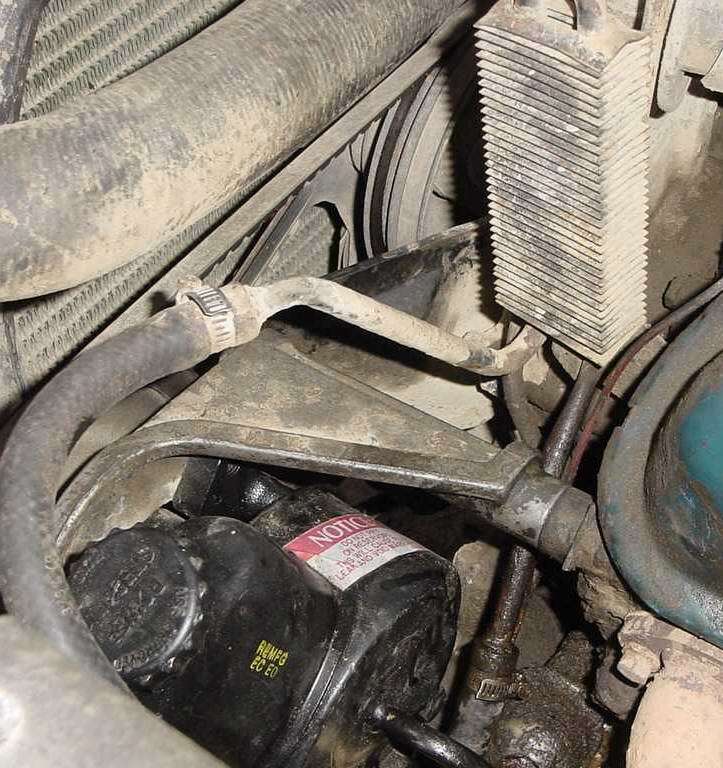 I bent the line coming out of the steering fluid cooler so it pointed down instead of up. 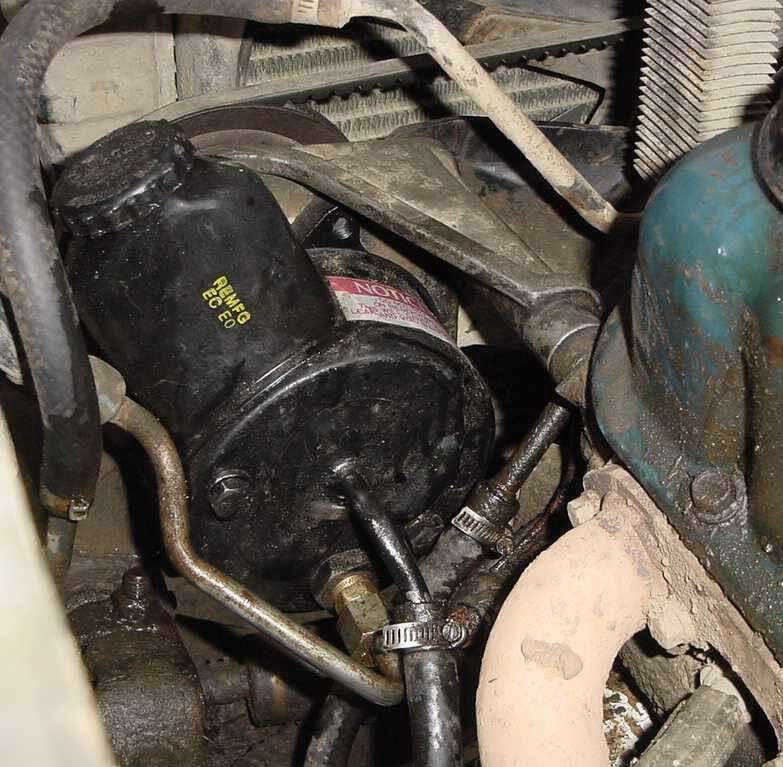 The line going into the new pump was interfering with the oil pressure sending unit, so I bent it out a little bit. Once you've got it all back together, fill it up with fluid and start your engine and check for leaks. 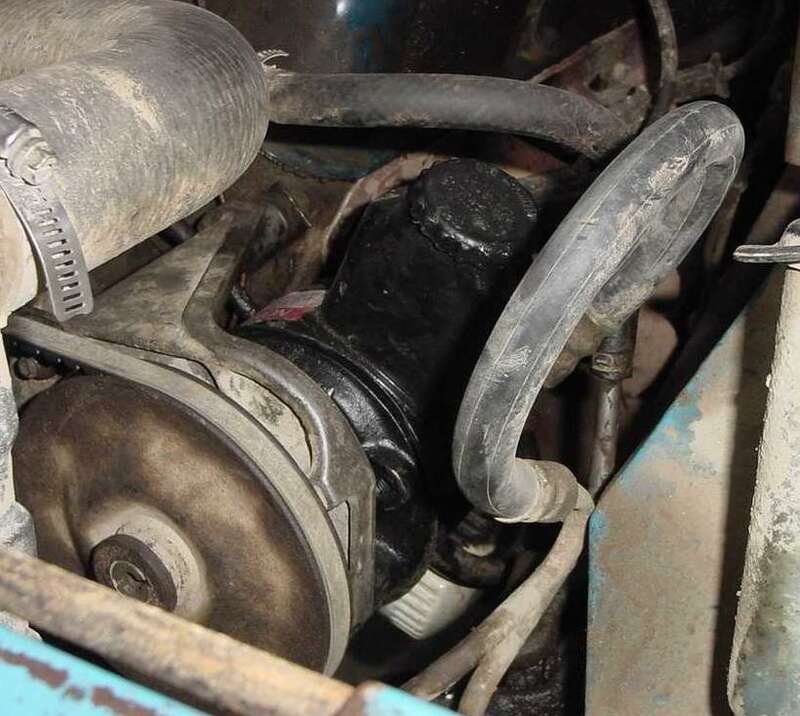 Then jack your front end up in the air and turn your steering wheel back and forth, lock to lock to bleed the air out of it. Then you should be done. Test drive it and enjoy your stronger pump.